Triforce Injustice 2 Just $29.99! Down From $100! PLUS FREE Shipping! You are here: Home / Great Deals / Amazon Deals / Triforce Injustice 2 Just $29.99! Down From $100! PLUS FREE Shipping! Exclusive for Prime Members only! Amazon is currently offering this Triforce Injustice 2 for just $29.99 down from $99.99 PLUS FREE shipping! The INJUSTICE 2: The Versus Collection brings characters to life one a beautiful collector’s edition! Prepare for larger-than-life showdowns as the greatest DC Super Heroes and Super-Villains do battle in INJUSTICE 2. The super powered sequel to the hit game Injustice: Gods Among Us, INJUSTICE 2 features a massive cast of iconic DC characters and an epic, cinematic storyline. 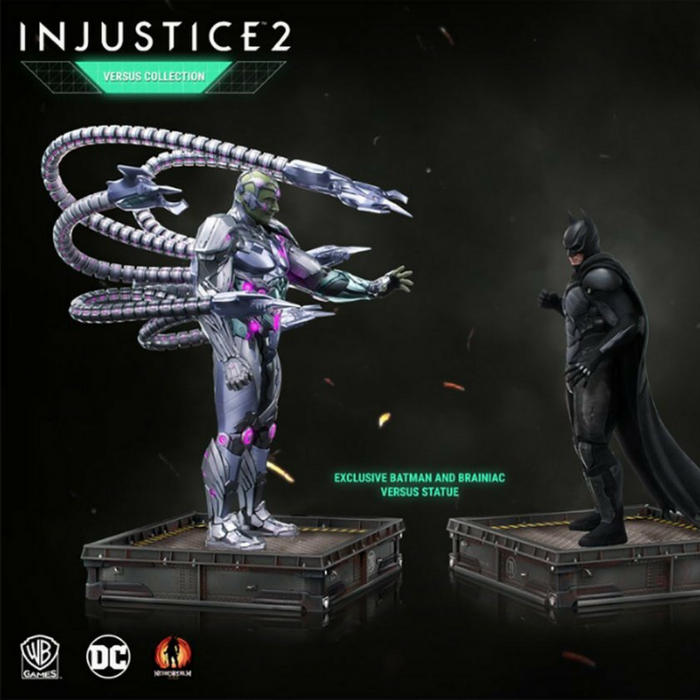 Premium Batman and Brainiac Statues: The Dark Knight and the Collector of Worlds go head-to-head and prepare for battle with two, highly-detailed collectable statues. A game-accurate replica of these two DC legends, Batman stands at 9.02” and Brainiac stands at 10.98” (with tentacles). Exclusive Lithographs: Own a piece of exclusive artwork showcasing Batman and Brainiac.